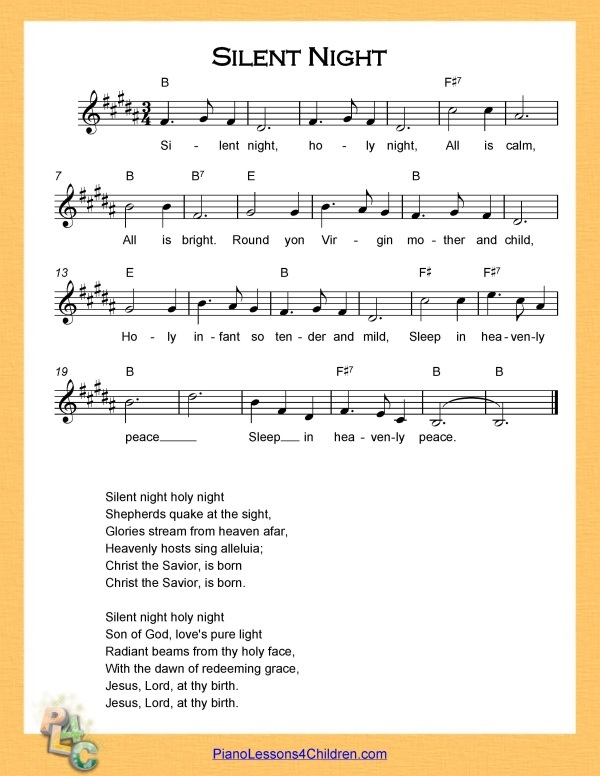 Silent Night is a popular Christmas carol, originally composed in 1818 in Austria. 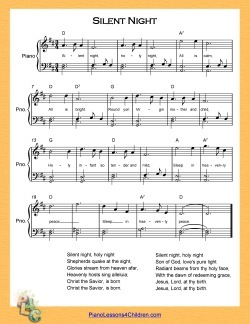 The melody was composed by Franz Xaver Gruber, schoolmaster and organist, and the lyrics are by priest Joseph Mohr. 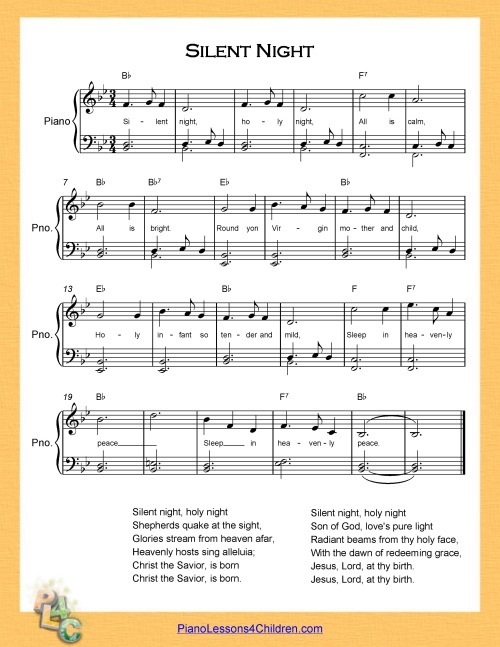 This video shows you how to play it on piano, step-by-step. The left hand plays block chords and the right hand plays the melody, in the key of C major. 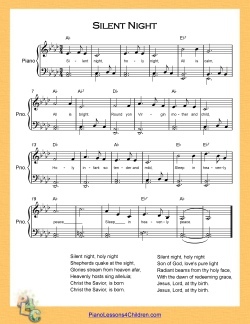 And here's a tutorial video teaching you how to play a VERY EASY version of Silent night on piano. 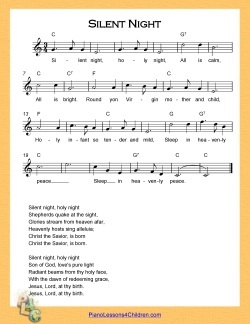 This one is easier than the version above. 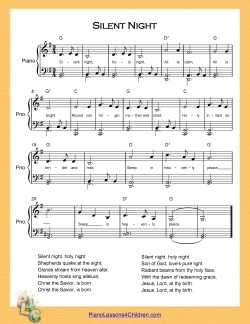 The left hand plays single notes. 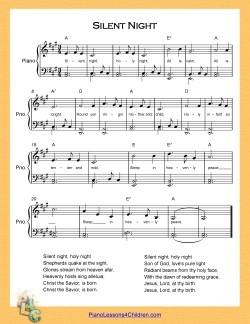 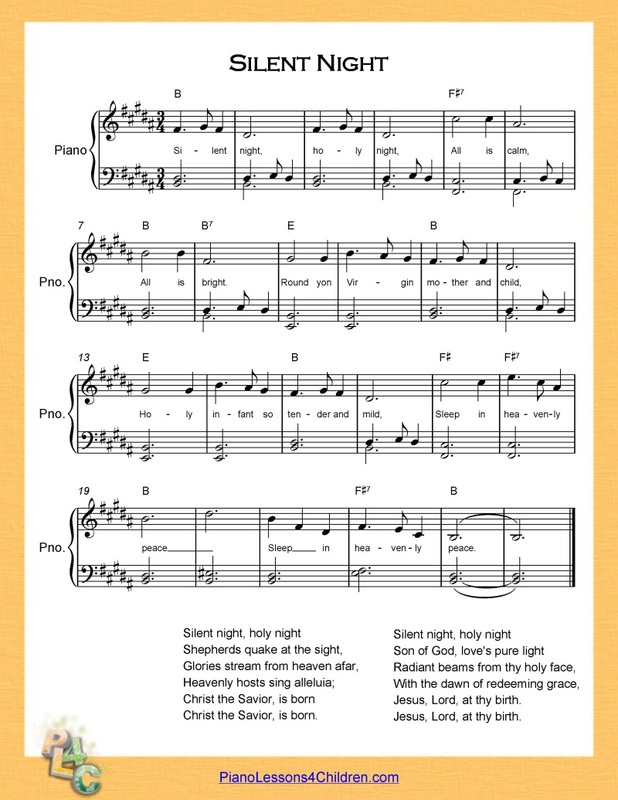 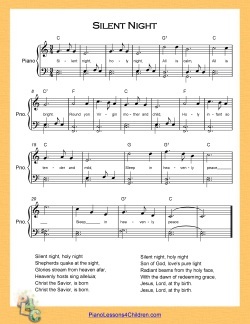 Click the images below to open and print piano scores for "Silent Night". 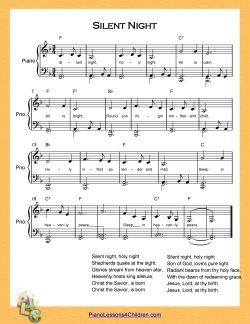 Right click and choose "Save link as" to download the PDF files to your computer.